Daily Illuminator: Super Munchkin In Luke Cage! August 19, 2018: Super Munchkin In Luke Cage! Superheroes are all the rage nowadays, and apparently Super Munchkin has become part of the MCU! 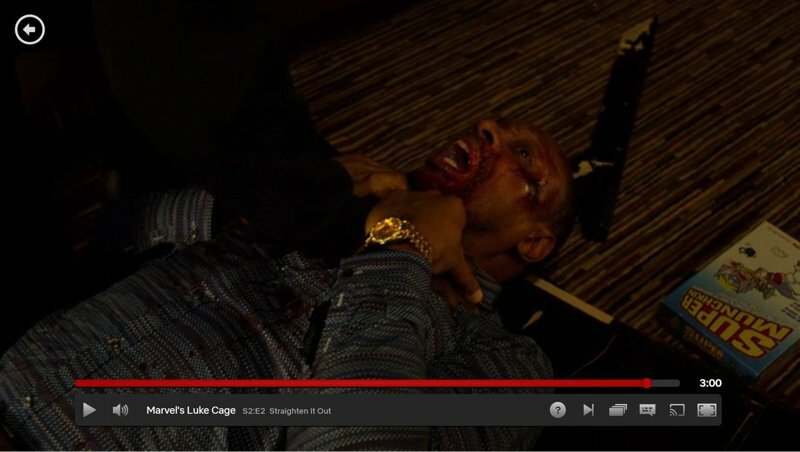 Fans of Netflix's Luke Cage pointed out that our game can be seen in the opening of episode 3 during a fight. Sweet Christmas! Check it out (but be aware, it's pretty graphic). I know Munchkin is known for its conflict, but I feel like this was a bit of an overreaction. Maybe next time, they should play Zombie Dice or something. You can check out all the different versions of Super Munchkin at your local game store or Warehouse 23. Also look for Munchkin: Marvel Edition, as well as Munchkin Marvel 2, which features Luke Cage himself!